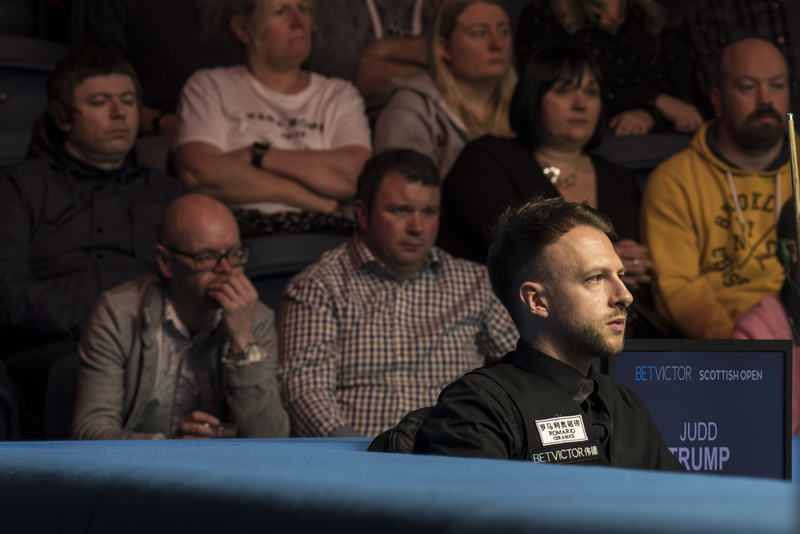 The second round, last 64, was played yesterday in Glasgow and offered two major talking points: the Defending Champion bowed out to unheralded Ross Muir and John Higgins made the ninth 147 of his career in front of his own crowd. John’s reaction after the match shows once again that it sometimes doesn’t take much to turn a player’s state of mind around completely. If John continues to play the way he did yesterday, he certainly is a contender for the title. Neil Robertson was obviously very disappointed and angry after the match and suggested that the referee should have stepped in and asked Ross Muir to speed up. That was before he was told that Ross was struggling with an eye problem. Hearing this, Neil immediately apologised and shortly after came to social media to reiterate his apologies, and admitting that he had “let himself down” by saying this. Neil deserves a lot of credits for that as it does take courage and honesty. It’s a shame that some in the media are not made of the same stuff. There is plenty in the press online about Neil’s outburst but nothing that I have read so far about his apology. Shame! One thing that Neil mentioned, and that Mark Allen had mentioned the day before as well are the conditions; apparently the main table isn’t playing great. Didn’t stop John Higgins to make a 147, but then how much it affects their game might depend of the players style as well. Judd Trump played well indeed, but, once again Ben Woollaston did have chances in every frame. Michael White, Ben Woollaston, Marco Fu, Mark Davis, Mark King, Davis Gilbert, Jack Lisowski (whgo lost to Jimmy Robertson by 4-1) and Martin O’Donnell also went out yesterday. King lost to David Lilley, an amateur who is competing on the World Seniors tour. It’s not the first upset that David Lilley is causing and, for me, it shows how the Seniors tour has revived the appetite for competition in a lot of mature players. David Lilley is not even amongst the very best on that tour! 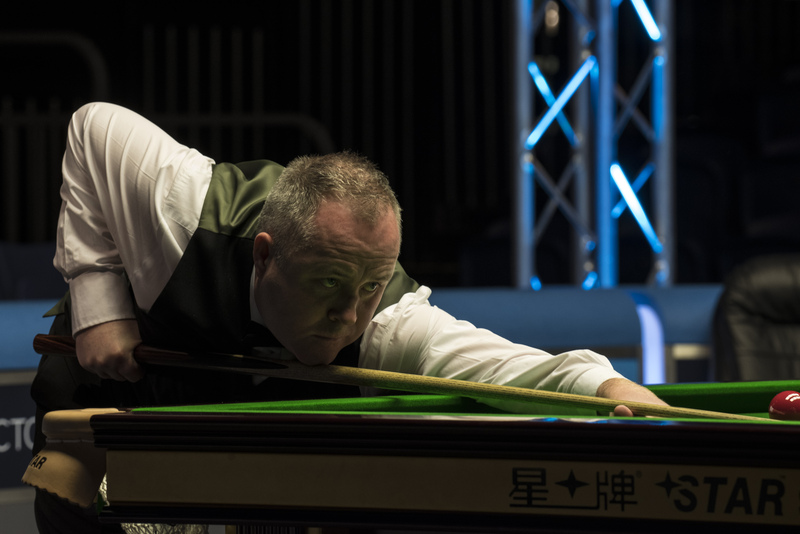 Despite the 147, John Higgins still isn’t out of the woods yet, just like Stephen Hendry. It will probably take a tournament win to convince him. We could be watching an interview after a poor loss today where the 147 was just ‘papering over the cracks’. There’s a different atmosphere to this tournament, with some names missing, and there isn’t the daily thrashing in the afternoon at Ronnie’s table. Will be interesting to see if any top players take their chance and carry it on to the Masters. Ding and Trump looked very sharp. Trump has an easy game again today, against a player who has no shot preparation whatsoever; expect a Trump win in about 30 minutes. Who knows what to expect in Ding’s match? Zhao Xintong continues to lead an eventful life. After two brilliant centuries from Zhao, Dominic Dale came back to 3-3, was leading 71-36, then Zhao cleared to force a respotted black. Dale had a chance to pot it, but just at that moment, John Higgins got his 147, and the noise may have distracted Dale. The Zhao-Dale match was on table 5, which is a long way from table 1. They won’t have been aware of the 147, but the cheer would have been audible, and a little unexpected. On the note of there being a “different atmosphere” to this tournament, I think the Home Nations events are in danger of being relegated to second-class status, with their low prize money and crammed-in place in the calendar.